Drum roll, please! 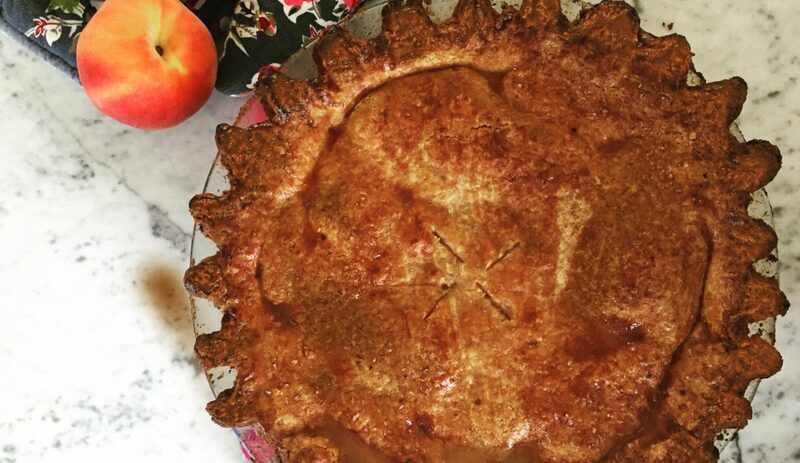 If you’ve read my bio on Instagram, the last statement is that I make a killer apple pie. I do, I am sorry to brag. It hasn’t happened overnight, though. I’ve been practicing for many, many years. I have many stories about making pie, undercooked dough, tasteless peaches or apples, burnt crust; one story even includes a fire extinguisher. And you read right; this recipe is for peach pie, not apple pie, but it is basically the same recipe with a few adaptations. 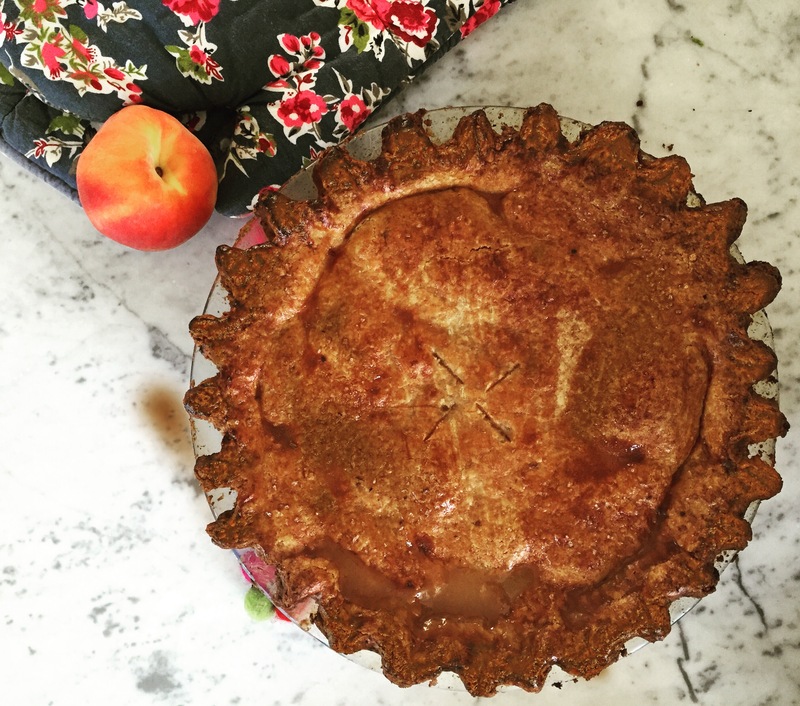 To make this pie I combine four different recipes from 4 different resources: Alice Walters’ The Art of Simple Food, Williams-Sonoma’s Essentials of Baking, Pamela Salzman’s blog, and Joyce Maynard’s novel Labor Day (book turned into a movie). If you’ve read the book or seen the movie, you remember for sure the pie scene. If you haven’t, read the book. 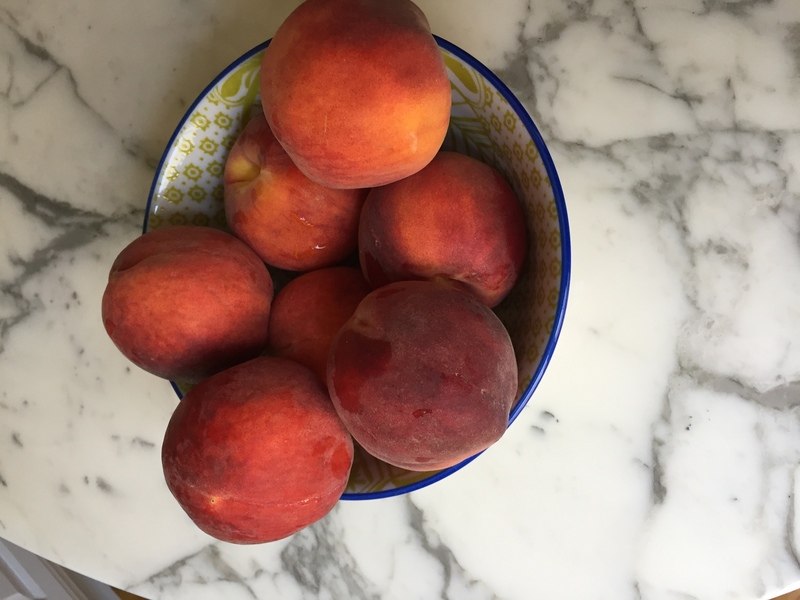 It is not a Pulitzer prize winning novel, nor it will change your life but it will make you want to bake or at least eat a peach pie, and it will keep you very entertained a day or two. Let’s start by talking about the crust. A crucial part of the pie. 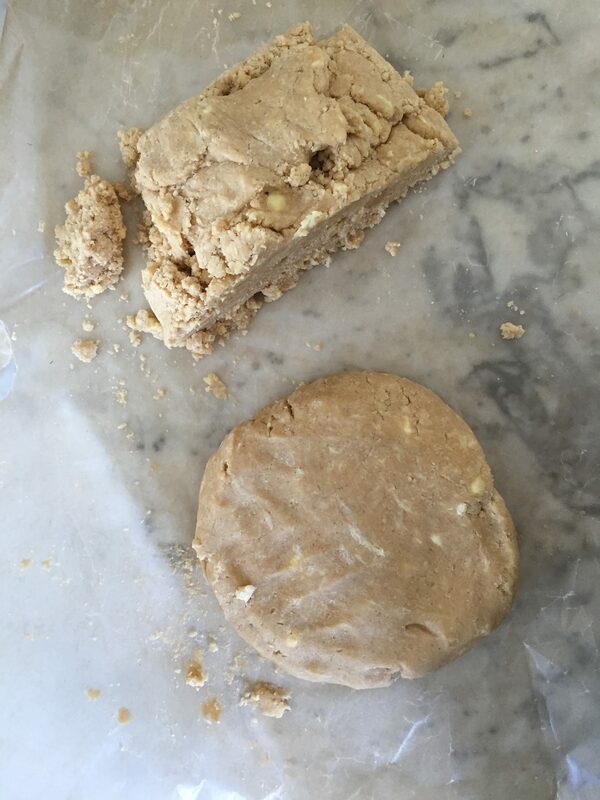 Joyce Maynard and in Williams-Sonoma’s book they combine butter with shortening; I tried that a couple of times, but did not like how it turned out. The crust was less flaky, and it had a store-bought flavor. 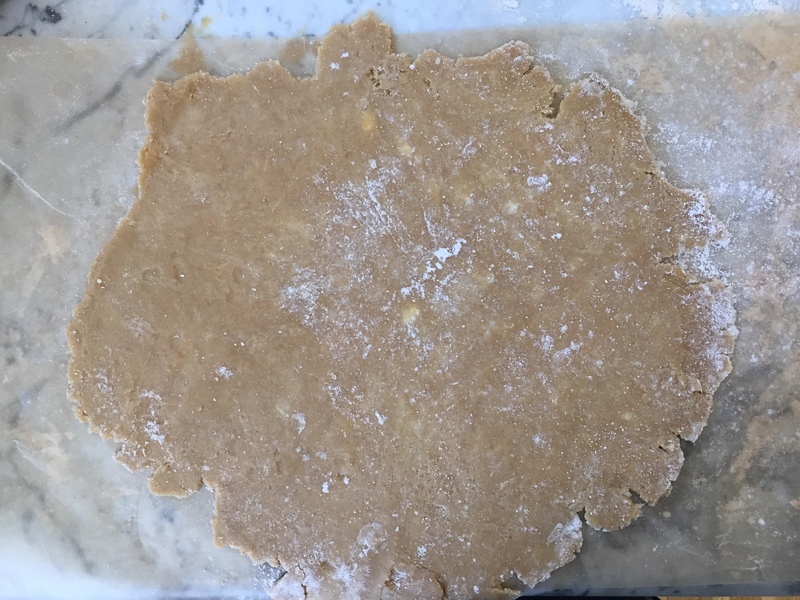 Now I use Pamela Salzman’s recipe which only uses butter; the result is layers of flaky, crisp pastry with a buttery flavor and delicate texture. As I told you earlier, in my opinion, the crust is the most important part of the pie. 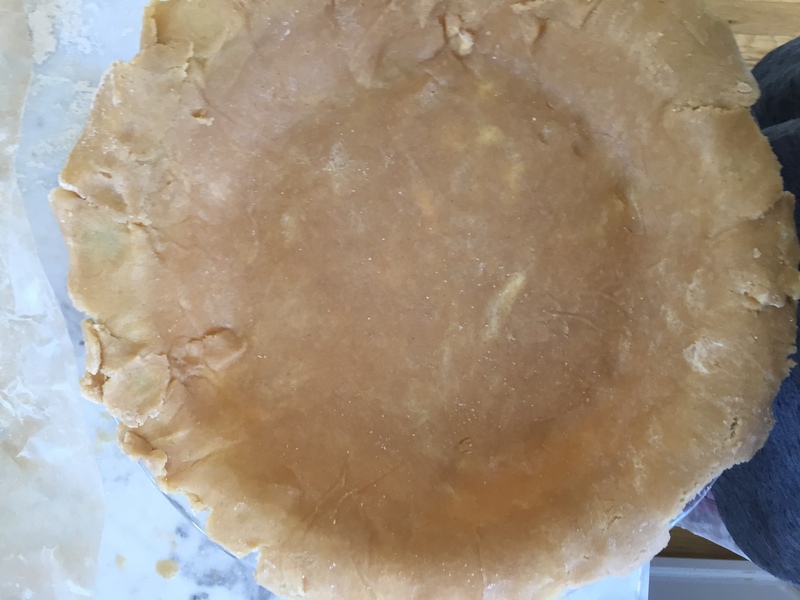 There are a few tips you MUST follow, and although a homemade pie thrives in imperfection when it comes to crust there is no room for error. ♥ Temperature is uber important, your dough has to be cold, or it will lose its flakiness. Especially since you are using only butter and it melts easier than shortening or lard. ♥ Do not over process your dough (watch this video to see the perfect texture). ♥ I don’t remember where I read this, but it is very true: crust can smell your fear. It can. Truly. 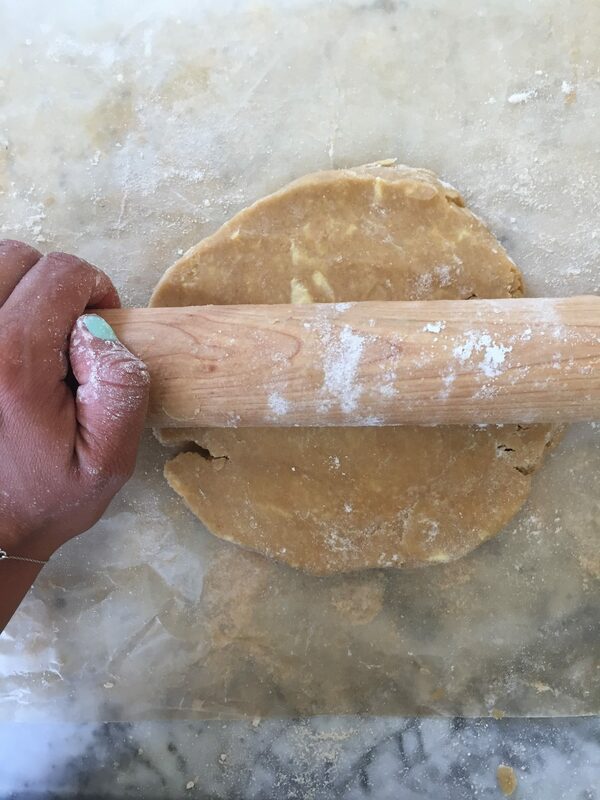 You will need confidence as you roll out the dough into a circle and then place it in your baking dish. It will stick or break, and it’s ok as long as you don’t over manipulate it. 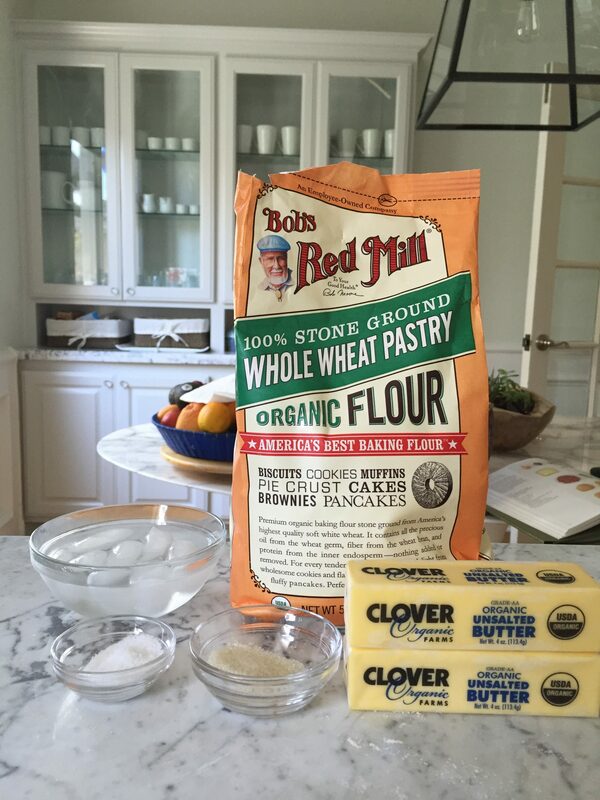 ♥ Roll out your dough on top of the parchment paper, I learned this from Joyce Maynard. Genius! It is easier to roll the dough and to transfer it to the dish. 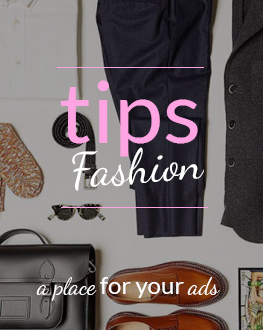 This video has a good technique too, check it out. Now let’s talk about the filling. 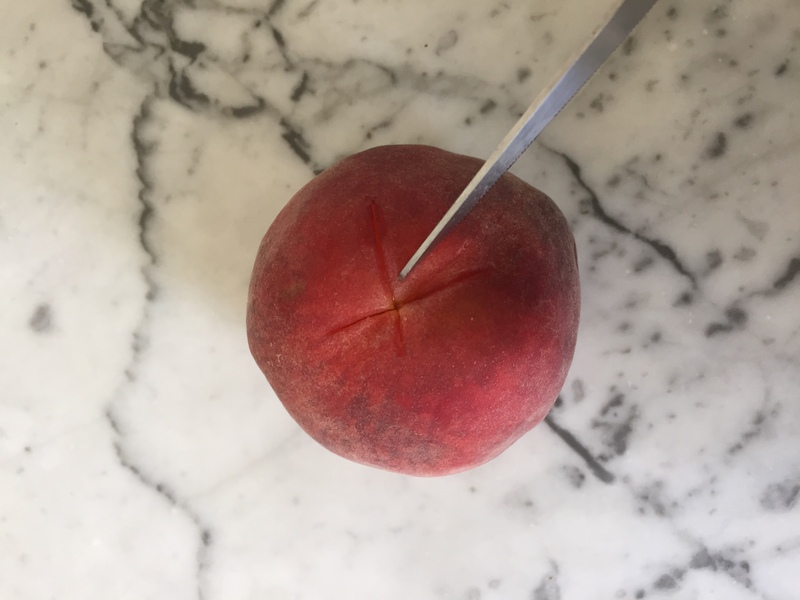 Make sure that your peaches are ripe; you can combine different types of peaches or nectarines. 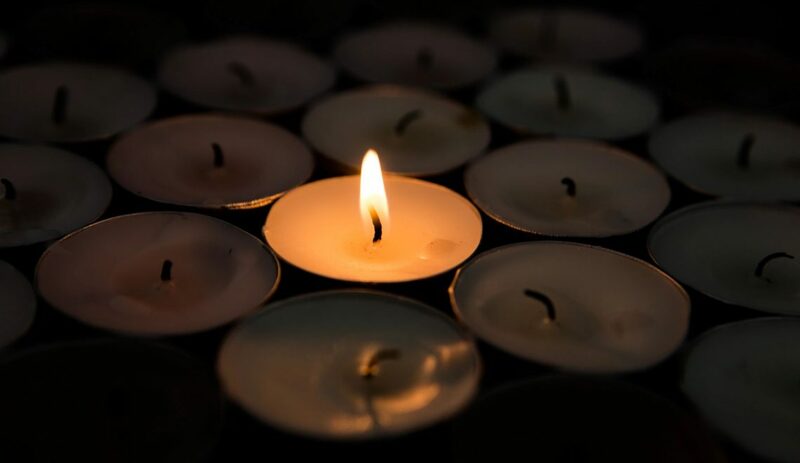 You will need about six of them. The first thing that you’ll do is to have a pot with boiling water. Then, with a knife, you’re going to make a little cross in one of the ends. Like I show in the picture. 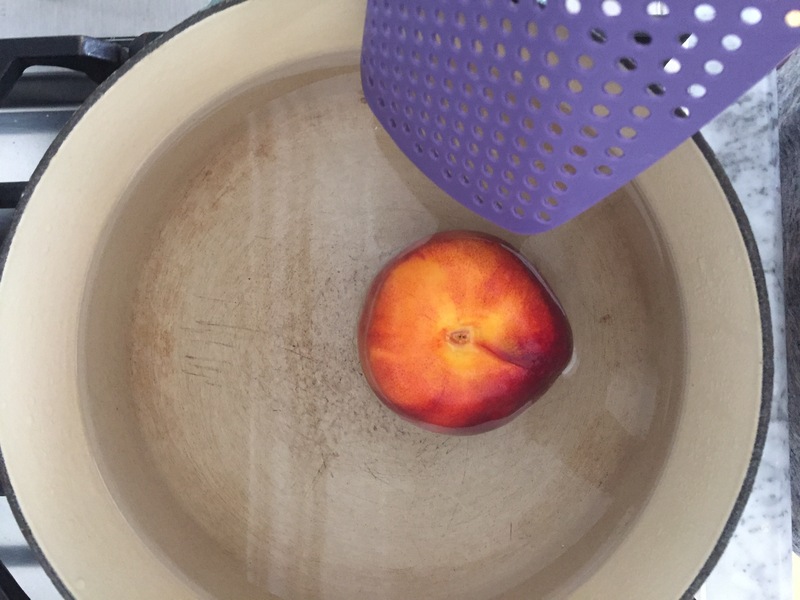 After that, you’re going to dip the peaches in the hot water for 10 0r 15 seconds, slip the skins and cut the peaches in half. 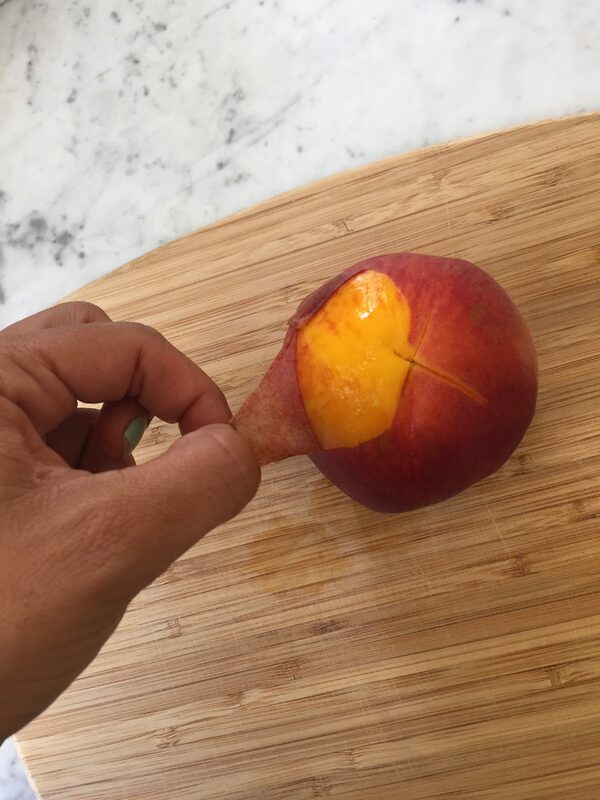 Remove the pits, and cut into thick slices. 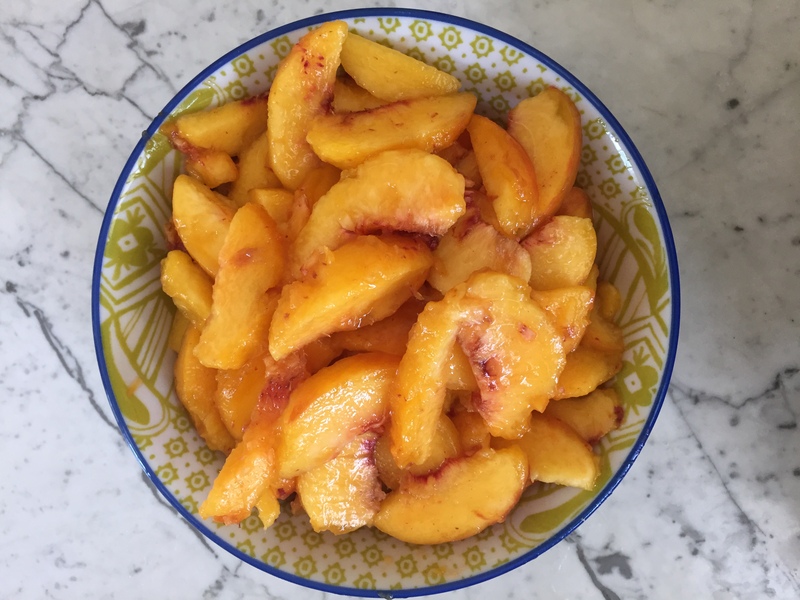 Then put the sliced peaches in a bowl and combine with one tablespoon of sugar, one teaspoon of cinnamon, two tablespoons of lemon juice, and two tablespoons of flour. Combine and make it messy. 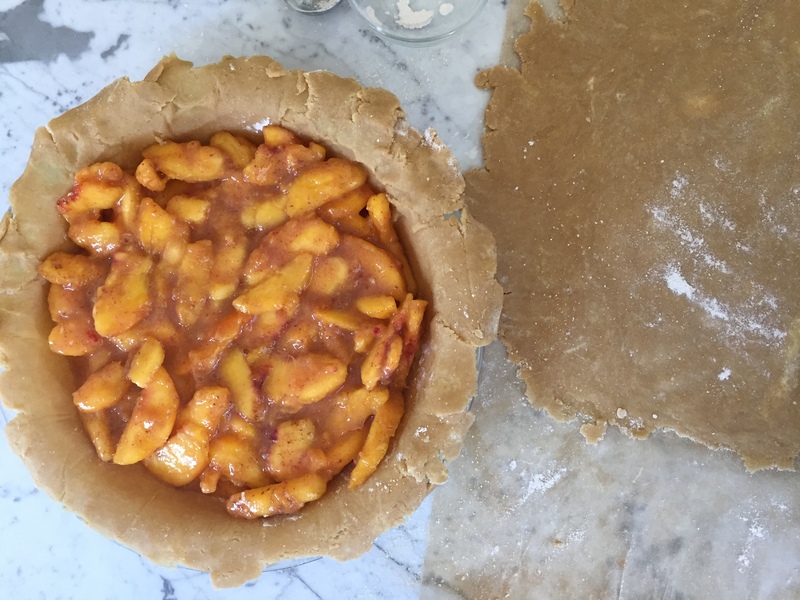 If you haven’t already, roll out your dough and spread one tablespoon of flour before putting in the peach filling, this will prevent your crust from getting wet. Position the top crust. Now here comes my secret ingredients for the wash. Wash is the mixture you brush to make your crust golden. Normally, wash calls for heavy cream, a beaten egg, and a tablespoon of sugar. One time, I forgot to buy the heavy cream, and instead I put Greek yogurt. It turned out great! 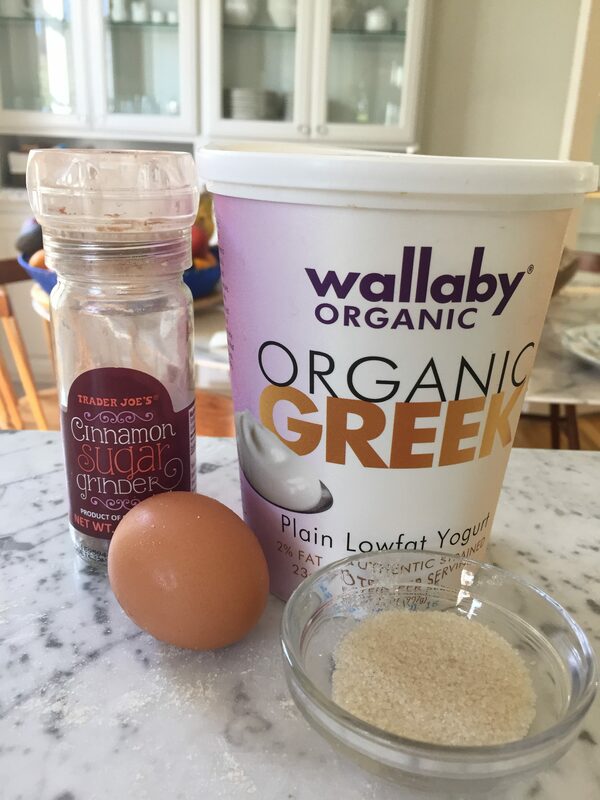 So, beat an egg, add a tablespoon of sugar and a tablespoon of Greek yogurt. Brush the crust and, here comes another secret: sprinkle with a mixture of sugar and cinnamon. I have a grinder that I bought in Trader Joe’s a couple of years ago around Thanksgiving and it makes a huge difference. I have never found it again. If you see it, buy it (shown in the picture with the other wash ingredients). You won’t use all of the wash, by the way. Bake for 15 minutes at 400º; then reduce heat to 350 ° and bake for 40-45 minutes. Let it cool completely and enjoy!! 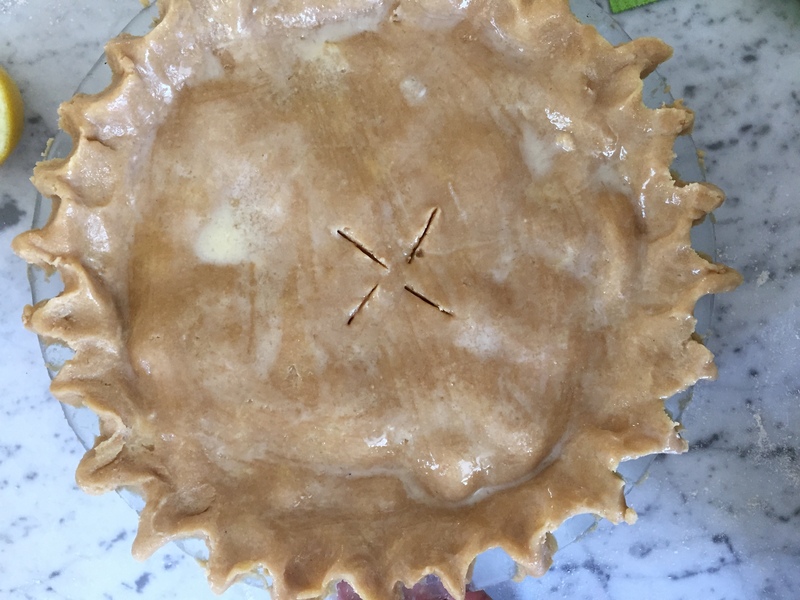 Please let me know if you make it or if you have any useful tips when baking pies! I’d love to know. P.S. 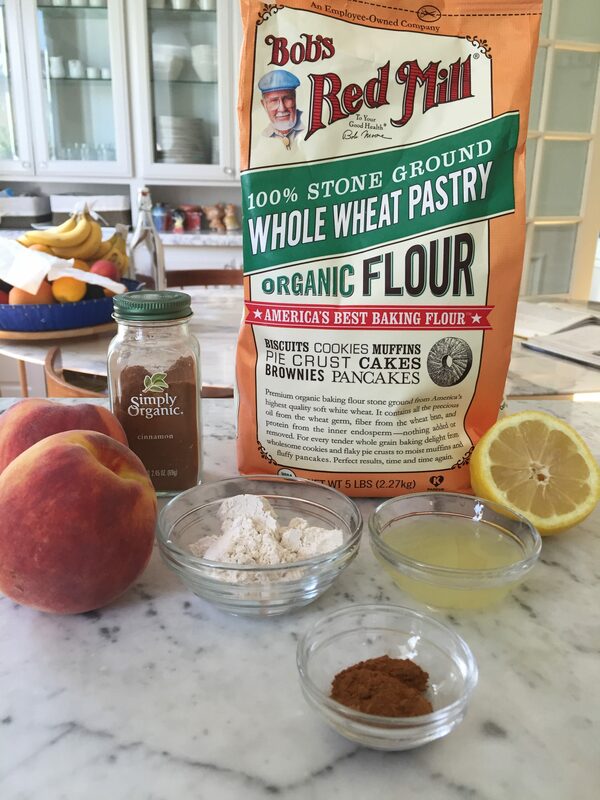 If you’re making apple pie, it is the same process, except for the filling: peel the apples, slice them, combine with 1/4 cup of brown sugar, one tablespoon of lemon juice, 1 ½ teaspoons of cinnamon, ¼ teaspoon of grated nutmeg and two tablespoons of melted butter. Voilà! Me muero de antojo. Cada paso que describes se me antojaba mas y mas. Me lo imagine tanto que lo pude oler!! ¡Voló! Pero esta semana hago otro. Gracias, Bego. Qué delicia se me hizo agua la boca!